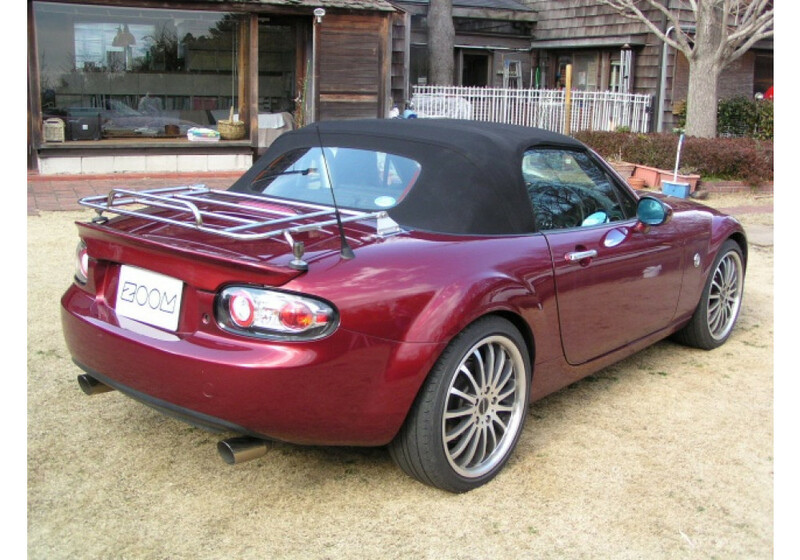 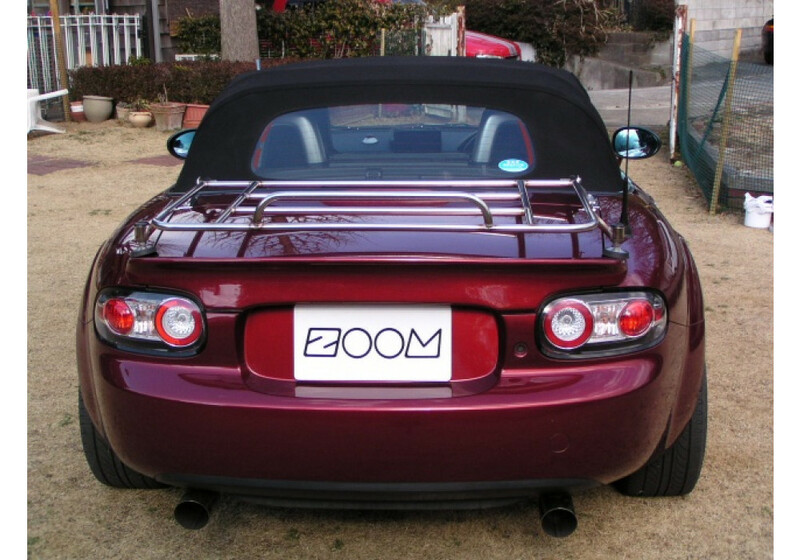 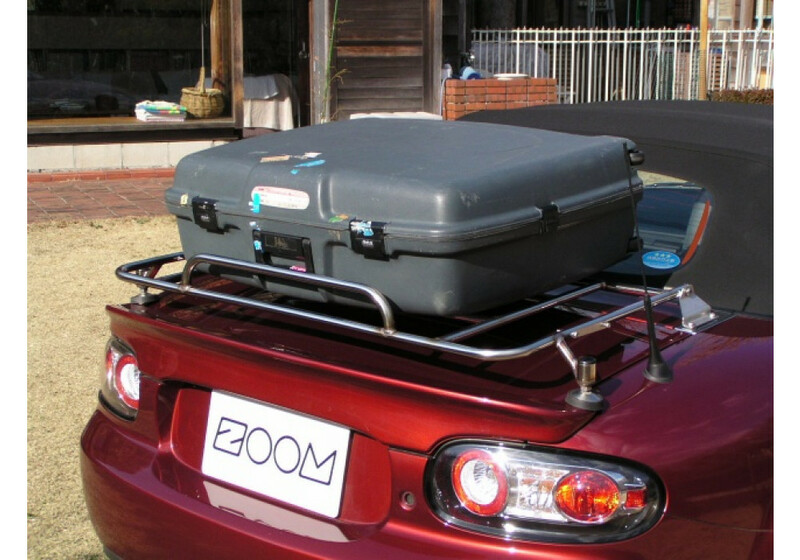 Trunk rack (carrier) made by ZOOM for the NC (2006-2015) Mazda MX-5. 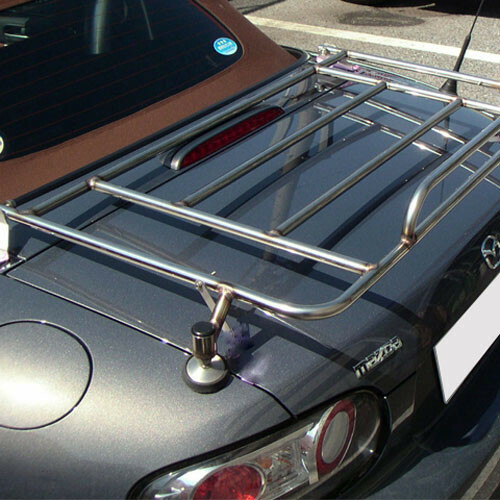 Made from highly durable corrosion resistant stainless steel (19mm diameter polished tubing), it can comfortably hold larger and heavier loads then other racks on the market. 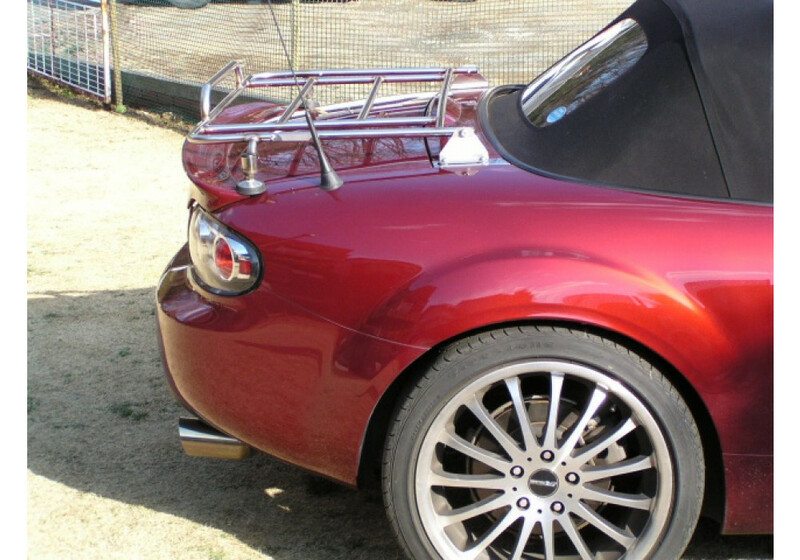 The front section is fixed using the OEM hardtop fixing screws and the back is supported by the rear fenders to avoid bending the trunk under heavy load. 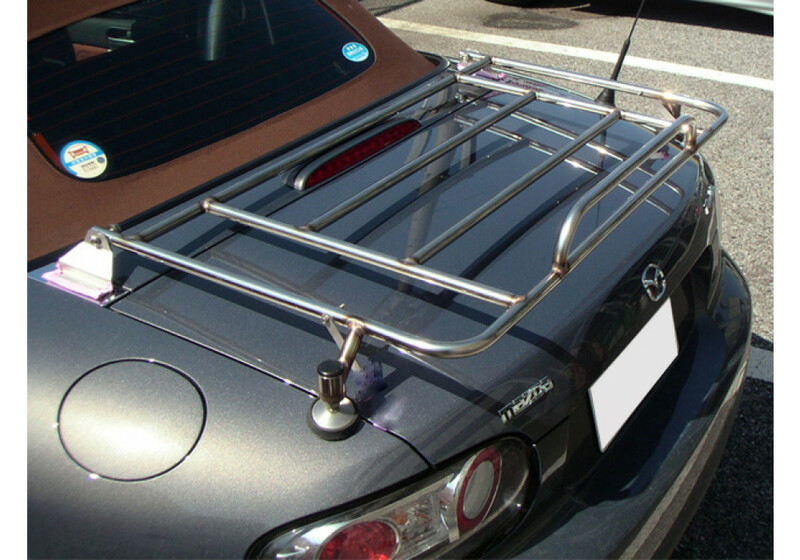 It can handle anything up to 50kg and 100cm x 54cm in size. 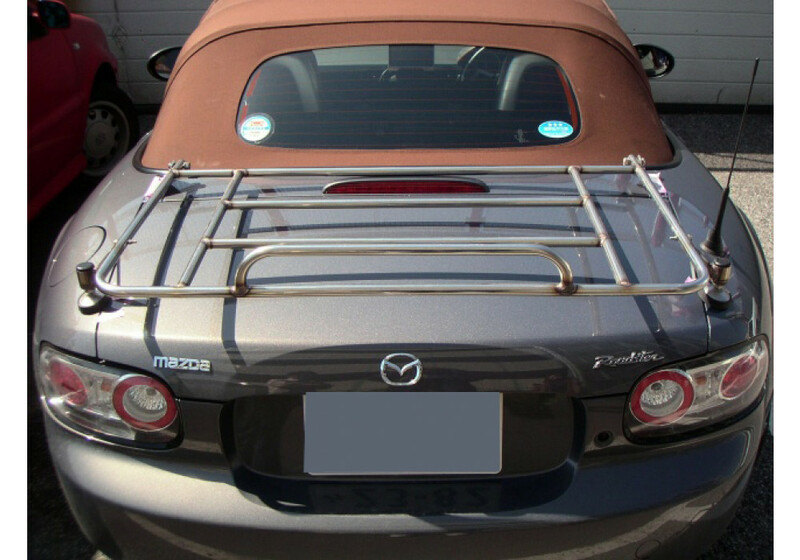 The rack also incorporates a newly designed trunk linkage that allow the trunk to open and close with the rack still installed and also keeps the rack fixed to the trunk even when there is no weight on top. 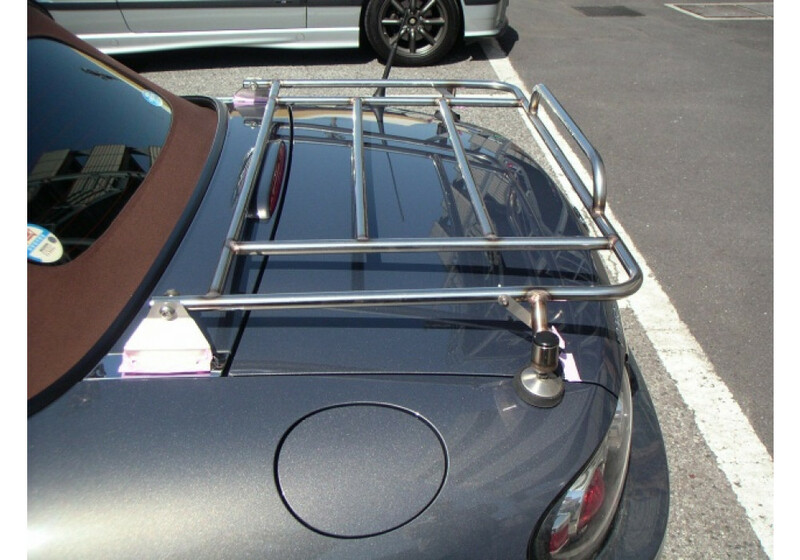 The rack come with two straps, one to put across diagonally and one vertically. 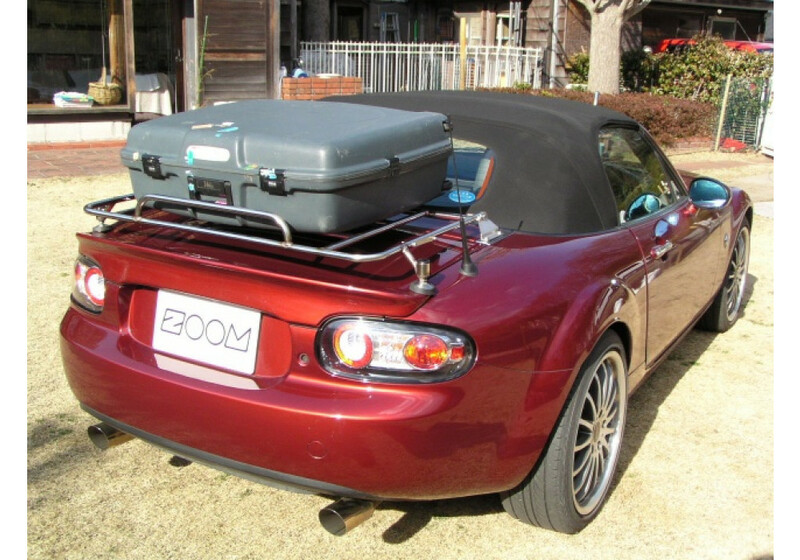 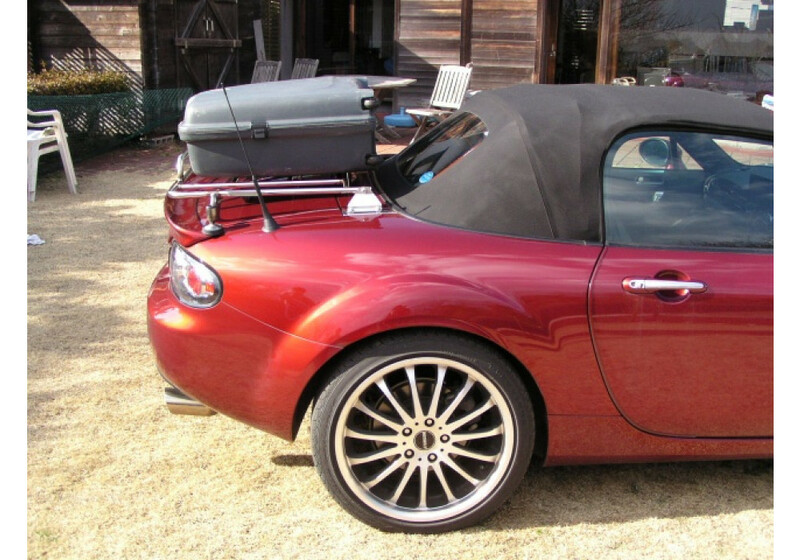 A very functional piece to add more luggage space to the world's favorite roadster. 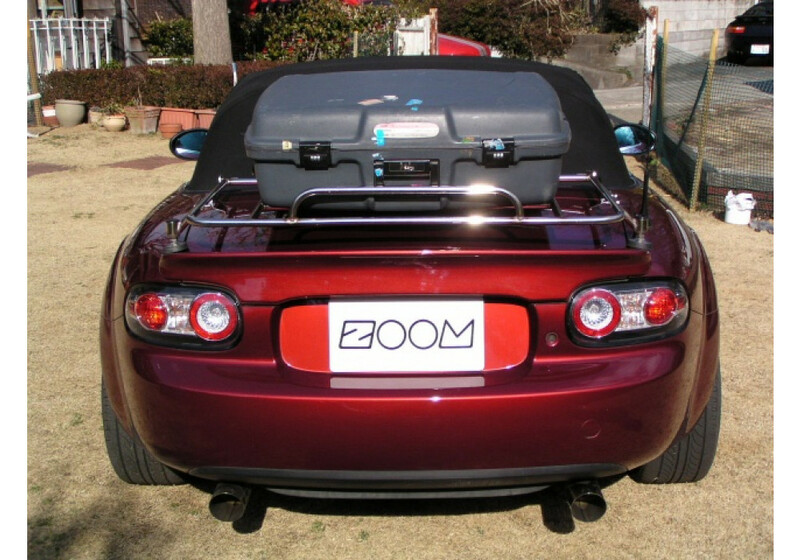 ZOOM Trunk Rack should be ordered at REV9 Autosport https://rev9autosport.com/zoom-trunk-rack-3010.html as they provide the best service and speed we've seen so far!